Comment on the Head & Shoulders competition post on the Afternoon Express Facebook page (www.facebook.com/afternoonexpress/) answering the competition question. 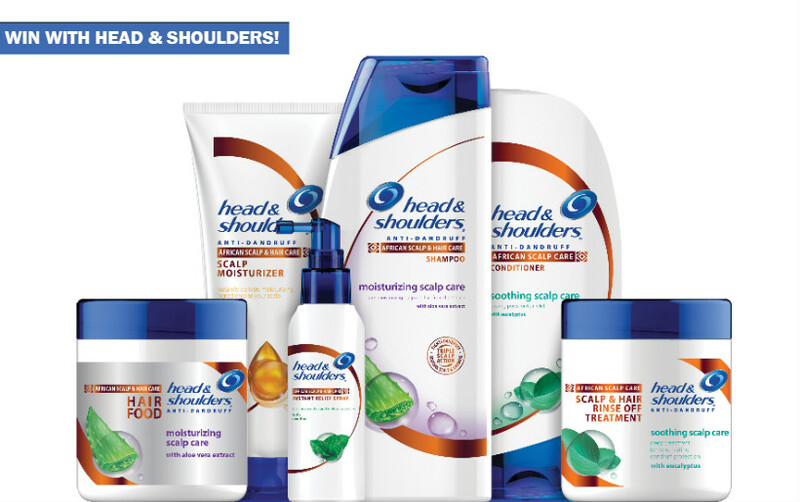 Which Head and Shoulders product would you use to provide instant itch relief? Make sure to include #LiveScratchFree in your answer. Entries for the Competition will open at 16h00 Thursday, 11 May 2017 and will close at 17h00 Tuesday 16 May 2017 (Competition Period). 4.1. Reply on the Competition post on the Afternoon Express Facebook page (www.facebook.com/afternoonexpress/) during the Competition Period by answering the question that is included on the Competition post and including #LiveScratchFree on the answer. 4.3. You may only enter once for this Competition. 5.1. We will randomly draw 2 (two) entrants (Winners) by means of an automated system from all valid and correct entries received during the Competition Period as the winners of the prize herein. 5.2. We will notify each Winner by commenting on the Winner’s entry post within 24 (twenty-four) hours from determination of the Winner to request a copy of the Winner’s identification document in order to validate his/her entry and to request further contact details. 5.3. If a Winner does not reply to the notification message sent by us by within 24 (twenty-four) hours from it being sent by us, that Winner will forfeit the Prize and will have no claim against us. In the event of a forfeiture as contemplated herein, we shall have the right to select a different entrant on the same conditions. 6.1.Each Winner will receive a New Head & Shoulders African Hair & Scalp Care Range hamper to the approximate value of R 500.00 (Five Hundred Rand) (Prize).